Rated 5 out of 5 by 25woody53 from Loved This Game!! The game is not for the faint of heart. It can be very frustrating and I had to refer to the "cheat" sheet on the web site. However, it was all due to my overlooking some things. You have to examine everything! I recommend this game. Rated 5 out of 5 by lancsroyal from A nice way to pass a few hours. All my reviews are based on full gameplay. I bought this as a daily deal and for that, it is well worth the money. The game's short length is the only real negative against it and may have bothered me more if I had paid full price for it. My main advice would be, after putting together Oscar the robot, is that you make full use of the data button he sports. 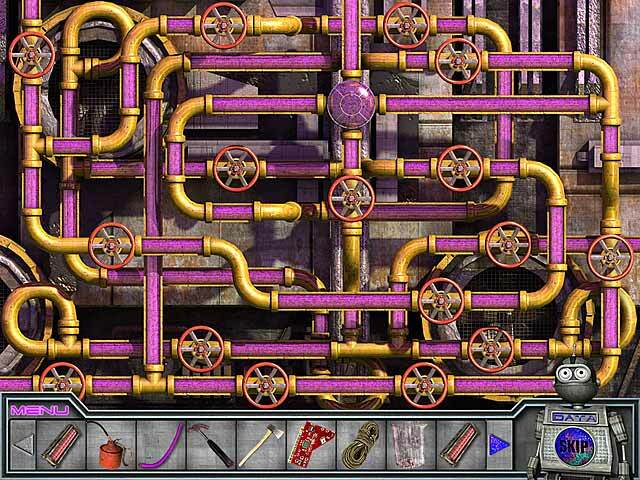 Here you will find a map (although not as interactive as I like them to be) which will help you find your way round but also tell you where the hidden object scenes are. There is also a data section with important information as well as a tasks section. If you click on each individual task you get more information as to where to find items or how to complete certain tasks. I found it immensely useful. The graphics are fairly basic which is not a problem, however it is not always easy to find things that you are searching for. Not every active area is highlighted which sometimes sends you back and forth trying to find items that you need. This did get a little frustrating. 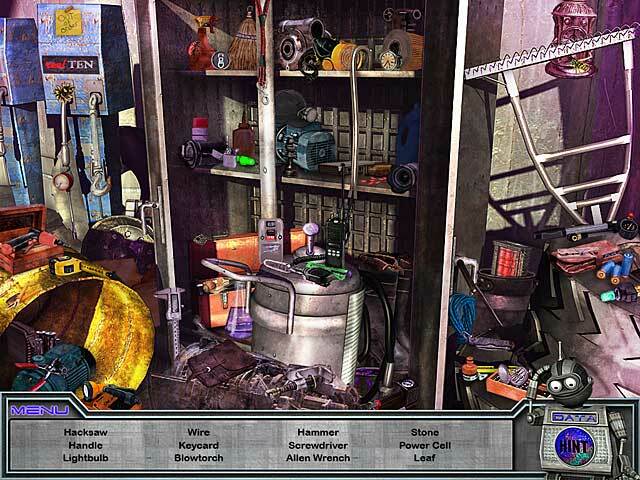 The hint button is useless for anything other than in hidden object scenes but with the tasks section that doesn't really hinder gameplay. Overall, it's worth playing but I'm glad I didn't pay even so much as the members' price for it due to its length. 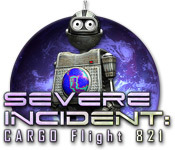 Rated 5 out of 5 by DATSUS from SEVERE INCIDENT: CARGO FLIGHT 821 (THE AVATAR OF PC GAMES!!) I just LOVED this GEM of a game! It did require some tickling of the ‘Gray Matter’ to get me going (What a thought)... but once I decided that defeat was NOT an option, I took on the task. What a terrific game: Unique…Not your run-of-the-mill game Oscar rocks as a super sidekick Refreshing alternative to ghosts and goblins and zombies Challenging and visually EXCITING (Fantastic colors and graphics) Mesmerizing Fun…I NEED to get off this planet Great mini-game play to accomplish required tasks Fun HOS for acquiring necessary tools and articles for MY survival This game has it all…one you’ll want to play over and over (as I did), and you WILL want to do this to appreciate the vibrant graphics and challenge of the game. I definitely felt I got my money's worth with this one. What a deal! “Severe Incident” became MY real world for a time and swept me away! Kudos to Big Fish for finding this one!!! HAPPY GAMING P.S./ Just went to the game’s official website and saw that the developers put up a Walk Through for this game for those who may need a little guidance. Rated 5 out of 5 by pcm993 from Loved it! This is an awesome game! The graphics are spectacular and I really enjoyed the story line. Not only is this game an enjoyment to play, it's quite challenging. I enjoyed having to use my mind to get to the different levels. The robot is awesome and I loved the vibrant colors and graphic details! Way to go! Rated 5 out of 5 by megs56 from BRILLIANT AND DIFFERENT LITTLE GAME This is such a different little game and I love it. I'm stuck at the moment but am trying everything to get out of my little pickle - such a beautiful difference from the tedious HOG's where you don't have to think much at all and if you do, the hint button is just a second away. Rated 5 out of 5 by Kahlanx from LOVE, LOVE, LOVED IT! I rarely if ever buy these games...but this one was so different, I had no choice. It is difficult, you don't always know what the objects are for that you collect, but just use some brain power and you will find uses for everything. Look at things very closely and if you think you should be able to do something, the robot will respond!! There are no real hints, except for the HOG's. What I found was no hint given is a clue (nothing to do there!!) My only complaint would be that the game was too short. I finished it in just under three hours. The story line was kinda short, but I don't really care about that! LOVED IT!!!! Rated 5 out of 5 by gejpm1 from Difficult, but a lot of fun!! This game is a challenge, but if you stick to it, you will have a lot of fun. The hint system could be improved upon, but if you click the data button on Oscar the Robot there is a task list. Click the question marks to reveal what needs to be done! The graphics were great and I love the music. I loved it!! Rated 5 out of 5 by reelnormal from Great New Game! I loved it! I found it to be challenging at times, but really enjoyed it! 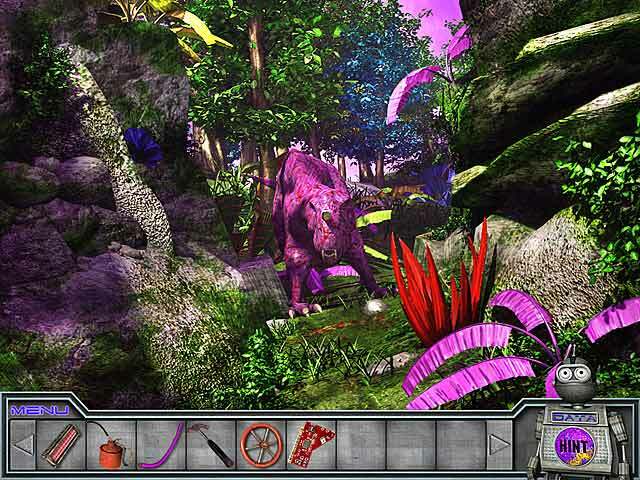 The graphics were excellent. Well worth the money!!! Rated 5 out of 5 by Hidden_Lady from Cool Game I love everything about this game. Beautiflul graphics and some of the puzzles are quite challenging.